Does Coffee County Home Care, Inc offer the following services? Each ZIP code that Coffee County Home Care serves is highlighted on the map above. Knowledgeable service from compassionate staff! They close at 4:50pm. This has happened repeatedly. And yes, my clock is definitely set correctly. Beautiful facility with very helpful staff. Was impressed how fast they are at resolving any issues you may have. Giving 2 stars because the staff was friendly but the wait took FOREVER just to get a couple immunizations and the waiting room had a very "jail" like feeling. I will never recommend anyone to this facility and I myself would never step foot in there again. It's been five years since the last review. That phone line is still busy...Come on guys, put the phone back on the hook! 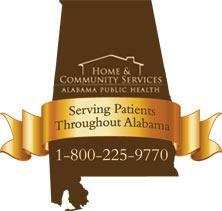 Coffee County Home Care serves ZIP codes that encompass all or part of each of the cities listed below.